At the ribbon-cutting for the Family Resource Center in October. Last month, the New York City Department of Education committed to a long-awaited plan for comprehensive school integration in the Lower East Side’s Community School District 1. 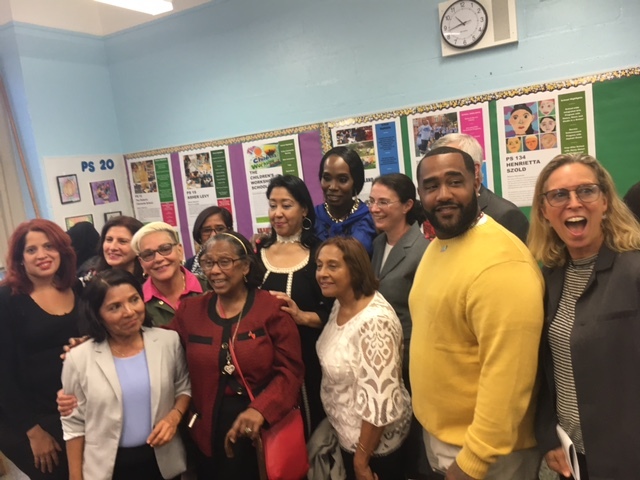 District 1 community leaders, Superintendent Daniella Phillips, and individual school leaders deserve hefty praise for their persistence and vision in the work of diversity and equity. As someone who has been privileged to be a part of this process over the last year and a half, I am extremely encouraged by this plan. A model for the city: This plan is a model for the city in many respects: The plan is districtwide (a first in New York City), applies to both pre-k and kindergarten enrollment, and it allows schools to reflect the district with respect to family income, language, students in temporary housing, and students with disabilities. The plan provides equitable access to all schools while respecting parent choices, and has the potential to encourage and inspire other community school districts to start thinking big. Yes, this effort can pose challenges for community school districts with zoned schools, but, for a district that has already done the hard work of building community support, zones are less of an obstacle than is commonly understood. Finally, with the State’s recent announcement of a second round of the Socioeconomic Integration Pilot Program, districts across the city can look to the leadership of District 1 as they design their applications. Family Resource Center (FRC): At the FRC, parents have access to consistent information in their home language about every school, receive direct support enrolling their children in Pre-K and kindergarten, and have access to a range of other helpful resources. The superintendent has already devised a long-term and sustainable staffing plan that will ensure each school has representation and investment in the FRC. The principals are on board: The success of any educational policy relies on the educators tasked with implementation. This plan has the buy-in of every elementary-school principal in the district. This fact significantly increases the chances that each school will work internally and with neighboring schools to make this plan successful. Balancing different perspectives: We commend the DOE for reconciling the priorities and concerns of differing stakeholder groups in this process. Listening to the voices of parent and community leaders who seek school diversity, educational leaders on the front lines, and parents for whom integration may not be a priority (sometimes for valid reasons), is not an easy task. My organization New York Appleseed believes that integrated schools are best for all children, but we recognize that there are many parents of color and low-income parents who are not convinced, and their choices need to be respected as well. This plan allows parents in these categories to fill up two-thirds of the seats in the district’s most popular schools but does not force them to. Room for growth: Perhaps most importantly, this plan is not the end, but the beginning: the DOE made changes to the initial proposal they released in September, and has committed to continual monitoring of the initiative to identify ways to improve it. To demonstrate its good faith in this commitment, the DOE should develop an implementation team to ensure the success of this plan. This team should include national student-assignment and integration expert Michael Alves, who has already been consulting on the project. The DOE should also commit to the development of a transparent process for community planning and engagement to ensure accountability of all stakeholders in future discussions in and out of District 1. In just five months, the nation’s largest school district (which is not under a court-mandated desegregation order), released a citywide diversity framework, put out a job announcement for a new director of student enrollment with the intention of implementing diversity initiatives as a primary responsibility, and has announced a first districtwide integration plan. Supporters of school diversity can continue to make headway by seizing the advocacy opportunities presented by these developments, holding the DOE accountable, and accepting nothing less than success. Matt Gonzales is Director of the School Diversity Project for New York Appleseed, a nonprofit social justice center working for integrated schools and communities in New York City and State. The NYC public school system is only 14.88% white, so where are these social engineers going to get the white kids needed to integrate the schools? Yes, we are social engineers. But what you seem to miss is that we are attempting to UN-engineer a system of segregation that was created and sustained by racist housing and school policies, and racist behaviors by white parents. Shall we just do nothing? Segregation is not natural, a quick peek into our history will show that it is a very strategic and intentional system that was created for the benefit of white people. So us social engineers welcome that title. We are trying to create something better. Additionally, your conception of “integration” is outdated and problematic (to put it nicely). The notion that “white kids are needed to integrate schools” relies on a racist narrative that schools serving predominantly Black and Latinx students are inherently bad, and will somehow be saved by white saviors. This is not at all what the plan in D1, or advocates for integration are interested in. The plan looks at a number of measures that are actually race-neutral (FRPL, ELL, STH, SWD), but based on the complex ways in which systemic educational racism manifests, will have positive implications for racial diversity. What this plan does offer is a way to break up opportunity monopolies that have been created and maintained by those racist housing and school policies (and parents), and to distribute students to all schools more equitably. This is about ensuring all schools, serve all students, and all students, have access to public schools. Yes, NYC schools serve around 15% white students. That is totally fine. In a truly integrated school system, all schools would be majority Black and Latinx, and would have an equitable distribution of White and Asian students, and beyond the demographics of this, all schools would engage in culturally responsive and inclusive practices to ensure all students feel welcome. Integration is about more than just moving bodies, it is about what students from IntegrateNYC call the 5 R’s. 5. Restorative Justice: All school engage in restorative practices, and support positive behavior to end the school to prison pipeline. This is what advocates for integration stand for. Please update your criticism to fit that actual reality of the modern integration movement. 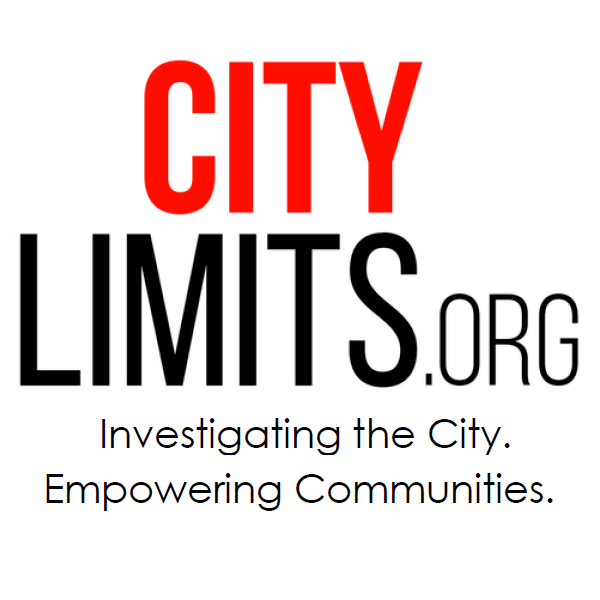 The commentary fails to address several severe drawbacks to this initive besides the DOE’s long delay in considering the community’s extensive planning efforts: its exclusive focus on elementary school entry, exclusion of screened programs such as NEST+m, lack of interdistrict opportunities, and the unique circumstances in District 1 which make it a less than ideal model for citywide implementation. District 1 is only 17.491% white. Age discrimination complaints are hard to litigate. So older workers in New York City and elsewhere are turning from the court of law to that of public opinion to press their case for respect. When New Yorkers gathered in Washington Square Park on Wednesday night, signs and speeches reflected the broad array of causes that define today’s movement for womens’ empowerment.